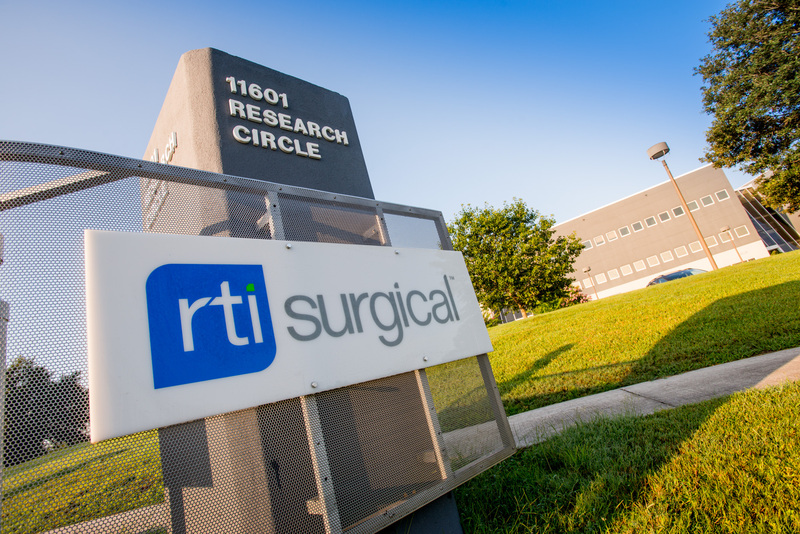 RTI Surgical® Receives Regulatory Clearances, Expands Distribution of nanOss® Bioactive in Australia, Europe - RTI Surgical Holdings, Inc.
ALACHUA, Fla. (DATE) – RTI Surgical (RTI) (Nasdaq: RTIX), a global surgical implant company, announced it has recently received regulatory clearance from the Australian Therapeutic Goods Administration (TGA) for nanOss® Bioactive bone void filler in Australia. The company also announced it has received CE Mark from BSI for nanOss Bioactive Loaded bone void filler and nanOss Bioactive 3D bone void filler in Europe. NanOss Bioactive bone void filler is an advanced bone graft substitute composed of nano-structured hydroxyapatite granules and an open structured engineered collagen carrier. It is intended for bony voids or gaps that are not intrinsic to the stability of bony structure. NanOss Bioactive is among few synthetic-based grafts* with peer-reviewed evidence of posterolateral fusion. NanOss Bioactive bone void filler will be distributed for RTI Surgical in Australia by LifeHealthcare Group Limited (ASX: LHC), one of Australia’s leading independent medical device distributors. NanOss Bioactive Loaded bone void filler is a closed system with a pre-filled mixing syringe for consistency, sterility, compression and easy delivery of NanOss Bioactive bone void filler. NanOss Bioactive 3D bone void filler is an advanced bone graft composed of nano-structured hydroxyapatite granules suspended in a porous gelatin-based foam matrix. NanOss Bioactive Loaded bone void filler and nanOss Bioactive 3D bone void filler will be distributed by RTI Surgical and its independent distributors in Europe. *A product that is manufactured from synthetic material but may also include carrier materials derived from non-human materials.